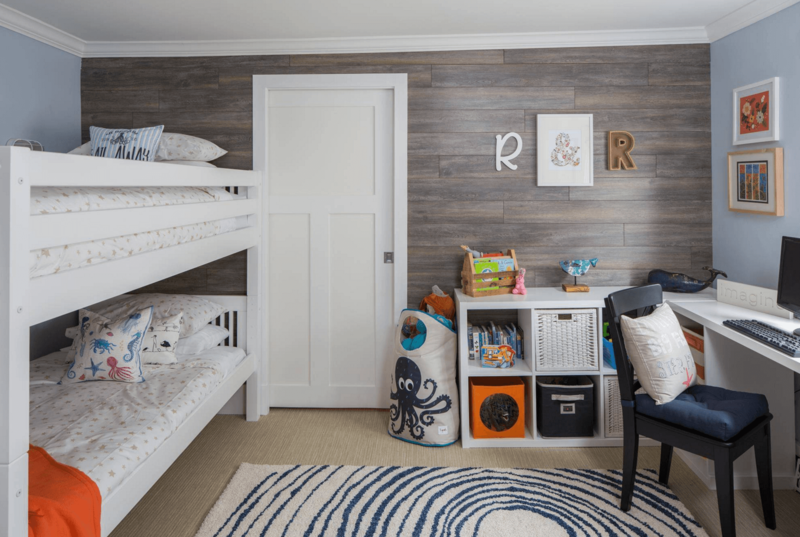 Space is a precious commodity in many homes these days, and that’s why it’s no shocker that many kids share bedrooms. It can be a pleasure for siblings to share rooms, too. Although children can often have fun sharing rooms, it’s critical for parents to make the approach as convenient and simple as possible. Kids often have fights that involve lack of space. One child may argue that the other is taking up too much room with toys, books and other types of items. If you’re a concerned parent who wants to simplify room sharing for your youngsters, there are a number of methods that can work well for you. Here are a few ideas from Self Storage Adelaide. Kids often find bunk beds exciting. They love being “up in the air.” Bunk beds can also offer practical applications for siblings who share living spaces. That’s because they give siblings access to much more room for storage. If you get bunk beds for your kids, that gives you the chance to place more storage containers in the room. Everyone wins. Self Storage Adelaide can be a massive lifesaver for parents who want to streamline room sharing for their little ones. If you try Self Storage Adelaide, you can free up a lot of bedroom real estate. This can be terrific for kids who have lots of toys, clothing items, games, books and the like. If you’re tired of hearing your kids have enormous arguments that involve not being able to find their beloved toys, then Self Storage Adelaide can be your superhero. Cooperation is a vital skill that all children need to learn in order to succeed in life. You can get your kids on the fast track to being terrific team players by encouraging them to switch off with play sessions, parties and beyond. If one sibling invites a friend for fun on Saturday, you should allow the other to do so on Sunday. Learning how to be patient and how to wait can be an invaluable life lesson for youngsters. It can teach them how to make the most out of time as well. Don’t forget that if your kids have any mutual friends, no one has to feel left out. They can all hang out in a bedroom that has ample space and plentiful storage. Strong communication practices are vital for parents who want their kids to relish room sharing. Talk to your kids about how sharing can build character that can aid them later on in life. Discuss with them the fortune of having a sibling as well. If you teach your child that he or she is lucky to have a sibling around, that may make room sharing go a lot more smoothly. It may even encourage your kids to appreciate the joys of sharing and being around each other frequently. Life without a sibling can in many situations be pretty lonely.